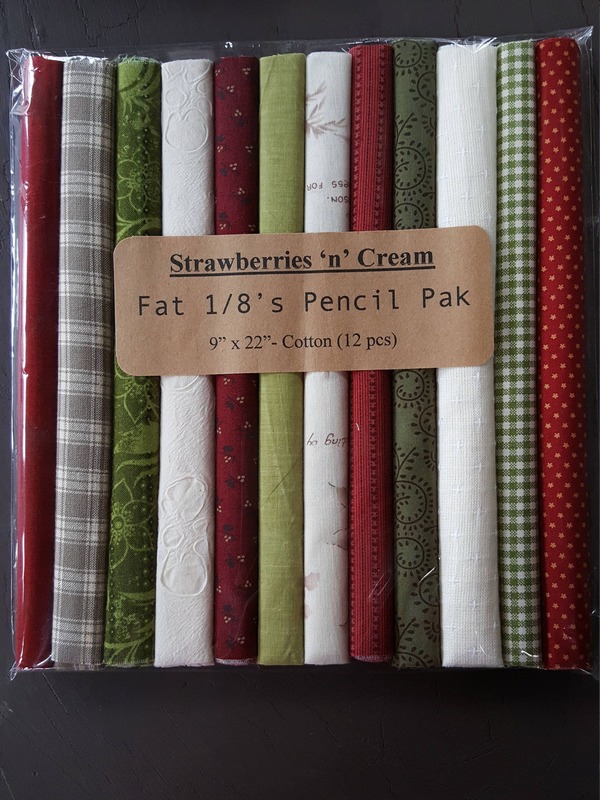 Fat Eighth fabric pieces put together as a Pencil Pak called "Strawberries 'n' Cream". This delightful little pack contains a beautiful combination of strawberry themed colors. There are 12 Fat 1/8s in a pak. Each piece measures approximately 9" by 22". All fabrics in this pak are 100% cotton. Fabrics are new off the bolt. All are beautiful, quality fabric!